Click here to view entire article! "Marshall, a Dallas police lieutenant, spent almost nine months in the hospital after he was shot during an October 2007 drug raid in Oak Cliff. A bullet pierced his neck and damaged his spinal cord. He had a severe stroke and contracted meningitis. He was 44 at the time. He's still in a wheelchair, and needed cochlear implants to preserve his hearing..."
Cochlear Implant Story on ABC's Extreme Makeover Home Edition...Check it Out! This coming Sunday (10-18 8/7c) ABC's Extreme Makeover Home Edition will air the story of a recent simultaneous Nucleus Freedom (two cochlear implants) recipient. The story includes how this recipient, lost and then regained his hearing with two cochlear implants. This is quite a story and one you will not want to miss. Please share this information with your family, friends, neighbors, and social network sites (facebook, forums, etc). In addition, this show is a must see for those that have significant hearing loss. Join the estimated 12 million+ people who watch this show weekly to see this amazing story that will air this Sunday evening on your local ABC station. Marshall Family The Texas home of a former SWAT team leader and his wife, a homicide detective, is rebuilt to solve rampant structural and accessibility issues. A parent on the CI Circle listserve posted about a company called SkinIt, which makes custom skins for phones, laptops, cameras, just about any electronic device including -- you guessed it -- CI processors! There are thousands of designs available including (but not limited to) Disney, video games, religious, pretty girly stuff, scary skull stuff, and (mostly USA) sports team logos (though this Red Sox fan wants to know why SkinIt thinks that I might like the New York Yankees logo in their "recommended for you" section" NOT!!) You can even create your own design. The SkinIt website is a little confusing at first, but what you need to do is both 1) choose a device and 2) choose a design. CI processors are in the 'Medical Device' category. Now for the bad news (for some of you): SkinIt only makes skins for Advanced Bionics brand CI processors. However, perhaps with enough emails from us, they'll realize they can make even more money if they make skins for Cochlear and MedEl as well. (Skins for AB will not fit the other brands -- somebody asked.) Another small bit of bad news: not all designs are compatible with every device. For example, NFL logos do not work on the AB processor. However, you can get the Yankees logo (and hopefully other baseball teams) for US $14.95. Same price for something like a UK flag. An animal or botanical print is $12.45. Some children love to decorate their processors and love the attention they get from their peers when they walk in with flame stickers or a blinged out BTE. You should be warned that decorating your child's processor can cause CI envy in the hearing children at school. CI circle started back in the 90's by myself and Karen Biernat. One day in my free time I will actually write how it all came about, it is really quite an interesting story. In a nutshell we had parents contacting us asking us the same kinds of questions about implants for children. At that time the only groups they had found were not supportive of implants for children and some of these parents had been on the receiving end of some pretty unpleasant stuff. When CI Circle started, there were 8 original members including Karen and myself, today there are 1963 members! We never dreamed that the group that we started would ever become this big. I guess we didn't really even think that far ahead, we just started the group to meet a need and well, things just happened. Earlier this year I was privileged to attend the Cochlear Americas Celebration in California, thanks to the support of a very dear friend. So the members of CI Circle going to the conference decided we should meet up for a lunch while we were there. A chance to put a face to those names we see online on an almost daily basis. While we were waiting for the last of the group to arrive, I listened to many of the parents talk about how CI Circle became their favourite resource, the first place they went to find information - from other parents who had been there before. It was a really neat thought to think that our little group was making a difference for these parents. 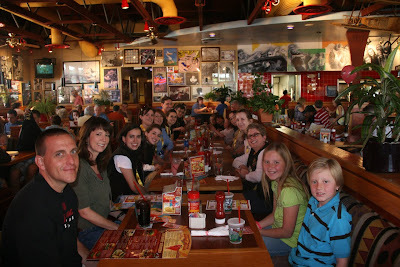 So we sat down at the table and we were introducing ourselves around the table. It was quite noisy where we were and so not everything was heard right off the top. On my right hand side sat a mom her young son and we were discussing the other issues he has had to face in addition to his hearing loss. This mum was just so awesome in her determination to get things done for her son, in fact she said her life was pretty much summed up by "life gave me lemons so I make lemonade" - she was totally inspiring! Anyways she was chatting to a few of the other mums and turned to me and said "And who are you again?" I said "I'm Naomi, as in co-founder". She turned to me in her seat, said "thank you" wrapped her arms around me and gave me the biggest, most intense hug I think I have ever had in my life. Well of course I just lost it! Tears fell. I cried, she cried and I looked up and my dear friend sitting opposite me who had seen the whole thing was also getting teary. She said she wished she had a camera as it was one of the most incredible moments she had ever seen. For the rest of the weekend every time I saw this mom, she looked at me, I looked at her and we would both start to get tears in our eyes. It is truly an amazing feeling to have been part of something that has developed into this incredible resource and support network for the parents going on this journey. Quite possibly one of the hardest things for me to swallow through our first year of becoming parents to deaf children was the average civilian’s lack of knowledge. Though I’d worn those very sa me shoes for 26 years prior to having my first child, I quickly forgot my own condition, which was weighted with the same ignorance. I immediately began my habilitation as soon as I left the hospital to care for my first child with multiple needs. At first, I admittedly, was quite offended and scared that the entire community wasn’t already prepared for my child. It only took me over-hearing people whisper a time or two, or seeing parents redirecting their children who may have taken a second glance at my child’s hearing device and scared their child may ask a question that would offend us, or worse, that they couldn’t answer, for me to decide, I had work to do. My children were just as much fun, and had just as much ‘kid’ in them as everyone else, and if I wanted my environment prepared enough to enjoy my kids, and not just see them as existing, I needed to move from angry to advocacy. I never wanted another child (or adult for that matter) to walk away from a playground, or a grocery store, or a restaurant, wanting to know what they were wearing on their heads, and not give them that answer. Hi Parents, During this year, I have been researching information regarding federal legislation to mandate closed captions for web-based media. I learned that in the last Congressional session (110th), Representative Markey (Massachusetts) introduced a bill toward mandating CC for web-based media. No action was taken and the bill effectively died. Working with the students during Hearing Loss Buddies, they wrote letters to Representative Tsongas explaining why closed-captions were needed. I hope they showed you their letters. As well, I wrote letters to Representatives Tsongas and Markey. I am letting you know about this as you may want to do the same and write a letter. There is no current legislation introduced and these letters urge them to reintroduce the legislation. Isn’t that a fabulous way to broaden the children's own advocacy skills? That story leads me to a great little poem which Naomi contributed as one of her favorites and I found quite fitting. And it matters to me." I walked into the classroom. But it matters to this one. I walked through the capitol. Remember children in all they do and see. Your issue is one in millions. And they said, "It matters with this one. Children deserve a chance to grow. It matters with this one. There are other causes, we know. But it matters with this one. We must help children be all they can be. What our future turns out to be. For some of us, it's not easy becoming an advocate. It takes hearing your own voice before you gain enough confidence to let others hear it as well. We all become advocates in our own ways, whether you're walking into the classroom and talking to the teacher about your child, or walking in and meeting with your state legislatures, you will improve not only your advocacy skills, but your community as well. 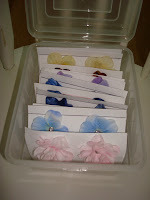 This is still not the craftsy blog we've been advertising. Instead we bombard you with science(!! ), which from this reporter's perspective is the most exciting thing on earth. I suppose most readers will think otherwise, so I'll try to make it as exciting or, at least, as informative as I can. I've spent the last two days at conferences at Harvard Medical School in Boston. 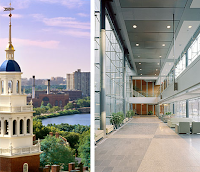 On Saturday, June 20, the Decibels Foundation, together with Children's Hospital Boston and Harvard Med, sponsored two "Frontiers" conferences for parents and the general public. The morning session was Frontiers in Usher Syndrome and the afternoon was Frontiers in Hearing Loss. These piggy-backed on a 3-day scientific conference, Molecular Biology of Hearing and Deafness. I'll report on the Sunday talks from that one as well. Probably the best part of going to the meetings was getting to finally meet, in person, some long-time cicircle friends that I've known only via email for over eight years, and to see some local Boston friends again. But the science was pretty exciting too. This report is organized as follows: Usher Syndrome, Hearing Loss in General, Miscellaneous, in case you feel like skipping around. Usher Syndrome causes both hearing loss and vision loss due to retinitis pigmentosa. There have been a great many new discoveries about Usher, including some promising treatments for retinitis pigmentosa just within the last few years. There are 3 clinical types of Usher: Type I, Type II, Type III plus a fourth category called "atypical" that doesn't fit either of the first 3. in Type I, there is profound hearing loss from birth and balance problems (children don't walk until after 18 months -- this feature combined with profound hearing loss is something parents should not ignore). 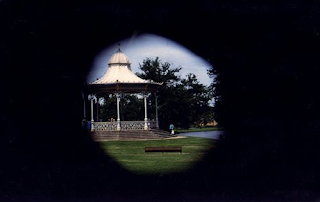 The onset of retinitis pigmentosa (RP) in Type I Usher is fairly early. In Type II, hearing loss is moderate to severe and RP doesn't start until later in the teens. In Type III there is a progressive hearing loss, and this type resembles Type II in childhood and Type I in older adults. Usher occurs much more frequently than was thought previously. It may affect 8% to 10% of all deaf children, and is the next most common genetic cause of deafness after Connexin-26 mutation. So far, 12 genes have been discovered that, if abnormal, can cause Usher. Early identification of Usher is important because early treatment may delay vision loss. Vitamin A supplements, especially in combination with fish oil or salmon may be helpful but are controversial because Vitamin A is toxic in high doses. Dr. Kimberling cautioned parents not to give supplements to children without a doctor's guidance. Prof. Wolfrum also answered something the scientist in me was wondering about: how can so many different genes cause Usher? Most of the 12 genes known to cause Usher are not similar to each other and yet they cause a similar disease. Prof. Wolfrum's theory is that the proteins made using the instructions coded for by the Usher genes all work together in big cellular machines (the USH protein "interactome"), both in the sensory cells of the retina as well as in the sensory hair cells in the cochlea. If any part of the machine is broken (i.e. one gene/protein), the whole thing grinds to a halt. Learning about Usher was a relief for the mom of the young child, because not knowing the cause of and the possible reasons behind his balance and coordination problems was frightening. Finding out later for the college student (she was diagnosed with retinal disease just weeks before her freshman year at college) was a big blow because she wanted to pursue visual arts, but a blessing as well because if she'd known earlier, she may have been steered away from her passion. She plans to continue with art. Finding out about Usher made the family of the college student and the college student herself feel extremely lucky that, despite strong pressure from professionals to sign when she was young, the family had chosen oral communication. Finding out about Usher made the family with the young child chose a more auditory path than they had settled on initially and to seek a second implant to allow the child to develop good sound localization ability if and when vision loss progresses. The adult, who had hearing loss her whole life, discovered something was wrong with her vision when she noticed herself becoming unusually aware of obstacles she might trip over. The 45-year-old said her Usher diagnosis was tough on her parents as well, who began to worry about her a great deal and also about her adult siblings, several of whom had hearing loss as well. One of the parents emphasized that "knowledge is power" and there is much help to be found. She also reassured parents that her fear that her child would "wake up blind tomorrow" was not likely and that kids with Usher will lead very normal lives. This was the end of the Usher talks on Saturday. There was a scientific poster presented at the conference by Dr. Margaret Kenna's group at Children's Hospital Boston/Harvard Med. The poster pointed out that it is not easy to detect retinal disease just by routine eye exams -- do not rely on them! Electroretinography (ERG) and dark adapted thresholds (DAT) can be abnormal long before parents notice a child's vision deteriorating. Dr. Kenna, who was also a speaker at the Frontiers conference (see below) and organizer and moderator, also emphasized the importance of early diagnosis of Usher both for helping parents choose communication modality as well as treatments to slow the progress of retinitis pigmentosa. As a side-note, I observed something I had not seen before at a conference. During the morning session, there was both an ASL interpreter and a CART reporter -- nothing unusual about that. But in addition, there was a second ASL interpreter specifically for one individual. This interpreter sat directly in front of the person she was interpreting for, and had a bright light (a halogen desk lamp) illuminating her face and hands. About 50 genes for nonsyndromic deafness have been identified so far, but there are known to be at least 85 more places in our DNA where there are more deafness genes waiting to be discovered. A blood test for genetic screening can be ordered anywhere, like through a pediatrician. It can be nice to have a geneticist or genetic counselor on hand to discuss the results. It is not necessary to test the whole family initially, just the affected child. If a deafness mutation is found, it is much less expensive to test other family members for mutations in that one gene alone. Connexin-26 is the single most common cause of hearing loss. It probably accounts for 50% of all cases of nonsyndromic recessive (genetic) hearing loss and 15-20% of causes for hearing loss over all. A recent study of the progression of connexin-26 hearing loss by Dr. Kenna and Dr. Rehm on 126 patients that they followed for several years found: 38% started out with profound hearing loss (nowhere to progress to), 43% had stable hearing loss levels, and 19% had hearing loss that got progressively worse. The connexin-26 protein makes channels between neighboring cells and is thought to control the potassium flow in the cochlea. High levels of potassium that build up when connexin-26 is absent or malfunctioning probably poison and kill hair cells. Eating bananas does not help for connexin-26 hearing loss. Gene tests are unfortunately not available for all deafness genes. The tests are easier and much less expensive for the short genes than long ones. Some of the deafness genes are long. Today, Monday, June 22, Dr. Rehm's lab is going to be testing the new OtoChip Test for hearing loss and Usher Syndrome that they have developed. It will let them test for mutations in 19 deafness genes all at once. What an exciting day in their lab! We have come a long way just in the last 20 years. MRI and CT imaging has improved significantly, vaccines HIB and Prevnar have reduced meningitis dramatically, there are more interventions like cochlear implants and modern hearing aids, and many deafness genes have been discovered BUT, new causes of hearing loss have appeared as well, including interventions like ECMO used for premature infants in the NICU, Lyme disease and HIV, and more noise exposure due to MP3 players (noise-induced hearing losses are difficult to aid effectively since the loss is in the higher frequencies). Dr. Kenna showed interesting images of Enlarged Vestibular Aqueducts; she also talked about various infections that can cause hearing loss, among them, cytomegalovirus (CMV) infection, which infects 1% of babies born. Of babies with CMV, 10-15% have symptoms, many with hearing loss at birth. Another 10-15% who were infected with CMV do not have symptoms at birth but will develop hearing loss later. Parents should be aware that sometimes insurance does not pay for genetic tests, which is frustrating, but good to know or negotiate in advance. The last speaker of the afternoon Frontiers session was Prof. Albert Edge from Harvard Med/Mass Eye and Ear Infirmary. Prof. Edge's talk was titled "Future Therapies for Inner Ear Degeneration." He talked about both his research and the research of other labs on gene therapy and stem cell therapy for hearing loss. The challenge lies in how to replace hair cells, which do not regenerate on their own if damaged (humans don't grow new cochlear hair cells after birth). There are two different genes that people are using stimulate hair cell growth in the cochlea: introducing the gene Atoh1 or shutting off the gene, Rb. Here's a slightly old article about Atoh1 and Dr. Raphael's group who studies it at the University of Michigan. There are two sources of stem cells: embryonic and adult (from within the individual). Advantages of using adult stem cells is they avoid immune rejection by the body and do not have political or religious conflicts associated with them. Stem cell therapies involve injecting stem cells into the inner ear. Dr. Edge's group has shown that stem cells grown in a lab dish can change into both hair cells and neurons and that the neurons can make synapses -- connections with other nerve cells or sensory cells. This is sounding pretty promising! Dr. Edge and colleagues are using robotics in the laboratory to sift through large numbers of small molecule drugs in order to find those that stimulate hair cell development. They are working with engineers from MIT to make a miniature pump (like an insulin pump) to deliver drugs directly to the inner ear in a time-release fashion. I asked Dr. Edge what he thought the prospects were of repairing a gene responsible for a genetic cause for hearing loss (like connexin-26), and regrowing hair cells as well, and he thought that was a more challenging problem than just regrowing hair cells. Another audience member asked Dr. Edge about preserving cord blood of a sibling -- could that be a good source for stem cells? He answered that one could go ahead and save it, but cautioned that it might never be used because of the uncertainty about how things will go in this field of hair cell regeneration. He was asked (the often-asked question): how soon will gene therapy and stem cell therapy will be available for hearing loss? He answered that they are "several years" away still. I asked him if someone who already has bilateral cochlear implants might be able to use these therapies, and he said that probably not with older implants, but now with the newer, more gentle electrode arrays and insertion methods (and possibly with the shorter arrays), it may be possible. Here are just bits and pieces from the Sunday talks and posters that were up. Dr. Richard Smith of the University of Iowa gave a talk in which he stated that if genetic testing is not available to a couple with a deaf child wanting to know the chances of having another deaf child, that the chances are 17%. Dr. Smith also talked about a computer program his group developed called AudioGene. (I thought he said it is available for download but I can't find it anywhere.) It's specific for deafness inherited in a dominant fashion and allows people to input audiograms from themselves or family members. It predicts the gene responsible for their hearing loss. OK, that probably does it for now. Time to start packing for the Northeast Cochlear Implant Convention in Strubridge, Massachusetts! About the Author: Lydia Gregoret was at one time a chemistry and biochemistry professor who studied protein structure and stability using both computers and laboratory experiments at the University of California, Santa Cruz. She then became a full-time at-home parent for about 8 years. In September of 2009 she embarks on a new career: she begins classes at Northeastern University for an audiology degree (AuD.) Lydia dreams of becoming a cochlear implant audiologist one day. Many apologies! 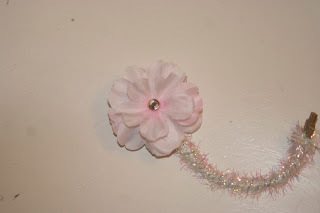 The craftsy blog we promised last week is not ready yet, so we again bring you topics discussed on the CI Circle Yahoo Group for parents of children with cochlear implants. A security guard at national historic site commented to a family that he "had one of those" (meaning an implant) when he was a kid. He appeared to speak very clearly, did not have hearing aids, and did not appear to rely on speech reading at all. The parent wondered how that could have been possible. Another reader said the security guard may have thought the child's CI was an auditory feedback device to used for helping children with stuttering. A parent whose child resists wearing hearing aids asked if children with CIs also resisted. Several parents commented that their children took their hearing aids out all the time but were happy to keep their CIs on from the get-go. They speculated it was because the CIs gave them more benefit and better sound. The group was asked to compare and contrast the NYU and NYEE cochlear implant centers. Both got positive reviews. The problem of CI manufacturers being "out-of-network" and thus causing people to pay high deductibles for parts and batteries was discussed. Ways to reclassify as "in-network" were suggested. Auditory-Verbal Therapy was defined. Though not AVT per se, a member posted some useful language development tips for parents working with young children. A parent asked if other children used the Music program in Cochlear's SmartSound 2 suite. Another responded that her children like the Whisper/ADRO variant for music. The discussion morphed to guitar tuning by teens with cochlear implants. A parent asked how frequently other people's children have had their sequential bilateral implant mapped. 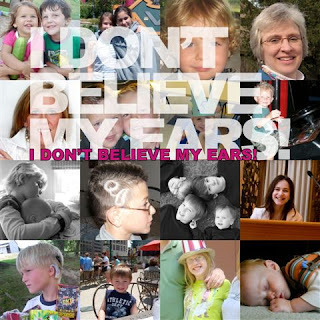 Parents eagerly awaited word from the CI2009 conference in Seattle going on right now about Cochlear's new sound processor and internal device, but there was not much new information that trickled out. A parent asked if this was common and several people responded it happened to their children but went away within a week. Brand choice, Montessori schools, and smoke detectors were also discussed. 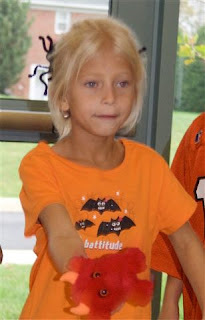 Do you like to read blogs about children with cochlear implants? Visit the Parent Blogs section at cicircle.org. Parents asked where to get a bilateral bodyworn harness for Advanced Bionics processors. Once upon a time, a mom named Gina Maser would make custom harnesses for people. She is no longer in the business and is sorely missed. Some parents say the harness made by Advanced Bionics works well for them. Others make their own, sometimes using an old geniune Gina harness as a template. Some deaf children who hear great with their CIs have difficulty pronoucing words due to speech apraxia (also true of some hearing children.) The signs of apraxia were discussed. Parents of children with apraxia of speech recommended finding professionals who specialize in this area. The schedule of talks is out! Visit the convention home page and click on the tabs at the top of the web page. Keynote speaker is Josh Swiller, author of The Unheard - A memoir of deafness and Africa. Several parents reported getting the buffwear headwear that we mentioned last week, and are pleased with it. A parent asked when this strategy would be FDA approved for children. Several members said their children have been using it for quite a while already and that it is available. The common question of which CI brand to choose came up again. This generated some slightly heated discussion, though did not degenerate into a full scale brand war. CI Circle News readers may be interested in an old blog entry on this topic. List members with children of all ages were inspired by a Salem (Ohio) News story about one member's daughter, a high school senior. A parent asked about this potential surgical complication in children with atypical cochlear anatomy, and a surgeon's hesitation about doing a sequential bilateral surgery because of it. Other parents shared their experiences and outcomes, and suggested a second opinion. The topic of awards for elementary school children was brought up. It's particularly hurtful to an overlooked child when a teacher decides to give awards (academic, etc.) to most but not all of the students in a class. Parents shared stories where just a few children were left out of awards or rewards for the class. The common sense of teachers who recognize all but 2 or 3 kids in the class, or who publicly humiliate elementary school-age children was questioned. The hypothetical question came up of whether or not it is legal, if a child requires CART or C-Print to access the curriculum, for the school district to provide this service but only if the student goes to another school in the district where the service is more readily available. Both sides were argued. More information surfaced about Cochlear's new implant in the form of an article in The Age, an Australian newspaper. There is speculation that Cochlear will gain US FDA approval soon and will unveil its new internal and external devices at the CI2009 Conference in Seattle this month. School quality in this part of North Carolina was discussed, with positive impressions but no personal experience shared. 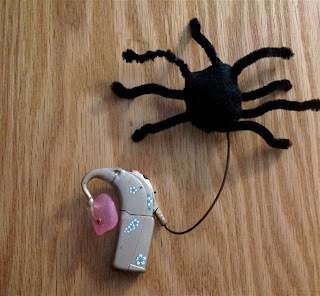 A parent shared that a good product for securing sound processors during active sports, etc. is the Buff, that some contestants on Survivor wear (no, not the Season 1/Richard Hatch type of "buff"!) You can get one at REI. For demos on how to wear the Buff, visit buffwear.com's site. A parent asked if children with cochlear implants seemed more susceptible to common colds, etc. 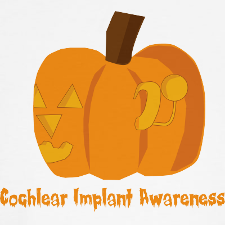 Some felt their child with a cochlear implant did get sick more often or for longer while others felt there was no difference or that other children in their family were sick more than the child with an implant. A parent wondered how to go about finding an expensive rechargeable CI battery lost at a playground. She later reported that she solved her own problem: "We posted a photo of the battery and a reward and 4 days later, a gentleman called saying that his grandson had found it!" A parent from Europe who is putting together some information asked about the history of Auditory-Verbal Therapy. A veteran A-V parent replied that the approach began quite a few years ago and was known as Acoupedic approach and the Unisensory approach (1930s?). 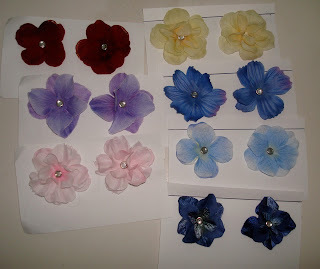 These were developed by Helen Hulick Beebe (born in 1909) and Doreen Pollack (same generation.) Daniel Ling (of the Ling 5 or 6 sound test) was slightly younger (born 1926). Some of their first followers included Warren Estabrooks, Judith Marlowe, Judy Simser, Jim and Lea Watson and others. "oh have to share this mum moment - my "baby" is almost 17 and in year 11. His school has a combined year 11/12 formal and as part of that they have dance tuition with someone from outside the school coming in to teach them. It is good they do progressive style dances with everyone involved, but they use modern music so the kids enjoy the experience with music relevant to them. Sooo because I am in admin at his school, I wandered over to the gym today during dance tuition. There was my boy in the thick of it doing an awesome job following the guy giving instructions, he did have a mic and basic kind of soundfield set up I think it was, but he was giving counts over the top of the music. If you scanned the room, you wouldn't have picked him but for the fact he is one of the tallest kids there. It was a special moment. To be followed by the special moment of the actual formal where he has asked one of the girls in his most of his classes and she said yes. In fact she said yes and then did the Toyota "oh what a feeling" jump as she walked away LOL"
A parent in the midst of choosing a cochlear implant brand for her child wondered how many output circuits the Med El implant has. The answer is 24. New Cochlear device on the horizon? Parents discussed what they have heard about new products coming from Cochlear. One parent says her child received a new internal device that is smaller. Another parent said they heard that clinical trials are under way in children in Europe and Canada for this new device. Parents reported hearing that there is also a new BTE processor coming from Cochlear that its called the Mulberry, though this is most likely a temporary name and not what it will be called when released. Rumored features of this new BTE include an integrated FM receiver, being truly waterproof as opposed to water-resistant, being small, and having a remote control. It will also supposedly come in "iPod-like colors." The new processor might be available later in the year. A parent wants to buy an FM system for her child for home use (the child has one at school, but it belongs to the school and remains at school.) She recounted the difficulty in finding someone to sell it to her that would take her insurance. Phonak does not sell directly to parents, only to audiologists and schools. The parent could not find any durable medical equipment dealers in Pennsylvania that will purchase it for her and bill her insurance. Phonak: Please make your FM products more available to parents!!! A parent of a school-age child who currently uses hearing aids but will be getting one implant wondered if there are children who use a CI and hearing aid together. Indeed there are, as several replied. This is called "bimodal hearing" and has advantages over just hearing with a CI in one ear alone. A family that recently had a pool installed asked for details about how children are able to swim and hear while wearing their CI processor. Several people responded that their children enjoy this very much and that it is fairly easy and safe to do. Ingredients include a BTE processor that uses a rechargeable battery (disposable batteries require air to run and may stop working temporarily), a waterproof baggie such as the aLoksak or a large latex balloon, and a lycra or silicone swim cap of sufficient size. 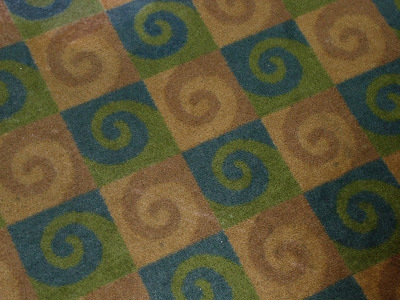 First up the picture above is the pattern of the carpet that the conference was held - I thought they chose it on purpose, apparently they didn't notice until after we all got there! Cool or what??? WOW what a whirlwind! I travelled from Down Under to Anaheim California for the conference and to meet a very dear friend of mine for the first time. The Cochlear Celebration Conference was of course put on my Cochlear and was for recipients of the Cochlear brand cochlear implant. There 600 people attending the conference with a 60/40 split between adult recipients and parents of children who were recipients. While we "grown ups" were attending the sessions at the conference, there was child-care for the kids and "Teen Scene" for the older group. We later found out that the 20 finalists from which the 5 Graeme Clark Scholarship winners were chosen, actually spent some time with the Teen Scene group. What a brilliant idea, what amazing role models for these teens to see - older successful cochlear implantees out there doing their thing in the world!! When we had break times or other social events, it was so heart warming to see the children and all the friends they had made at the conference. Many of these kids attend mainstream school and so may not get to see a lot of other children with cochlear implants - it was so neat to see the friendships developing and seeing the hugs and tears as they said their goodbyes to each other on the last morning. The conference was jam packed with information and events. The opening was incredibly moving and brought many of us to tears, even us "more experienced veterans" of the journey. Kassie DePaiva who is a singer and actress of "One Life to Live" spoke at the opening as did her son JQ. They were brilliant and Kassie moved us to tears as she spoke from the heart and as fellow mothers our hearts soooo heard her. Mind you she had us in tears before she began her "official presentation". Her presentation followed a presentation by Jim Patrick (Cochlear's Chief Scientist). When Kassie stepped up on the stage, she asked Jim to come back on to the stage. At which point, she wrapped her arms around him and gave him a big hug and said "this is from all the mommas out there" - well of course we were all bawling our eyes out by then!!! Rachel Chaikof shot a lot of video at the opening and at the conference so go visit her site to read more and see more photos. The sessions were all very informative and there was a great range of options to suit both parents and adult users. The morning expo was filled with representatives across many organisations. Many adults took advantage of being able to try some assistive listening devices with support from the companies that provide them. Kassie gave up her time to both meet and have her photograph taken, and sign autographs for participants. She is a wonderfully warm person who truly was just another parent, yet used her acting role to connect with people. She gave up a lot of her time in support of the conference and Cochlear. Perhaps the other thing that I truly noticed most was the accessibility of the senior management of Cochlear for the duration of the conference. Chris Smith (President of Cochlear Americas), Chris Roberts (Cochlear's Global CEO) and Jim Patrick (Cochlear's Chief Scientist) were available through out the conference speaking to adults and parents and having a multitude of photos taken with children! They were there for all the social events including the Volunteers Reception at The Aquarium of the Pacific and the Celebration Private Party at Disneyland. They didn't just put in an appearance and head home, they stayed for the duration of the events and were truly just part of the crowd. They certainly showed a genuine concern and warmth and welcoming of the parntership between user and the company that makes them. 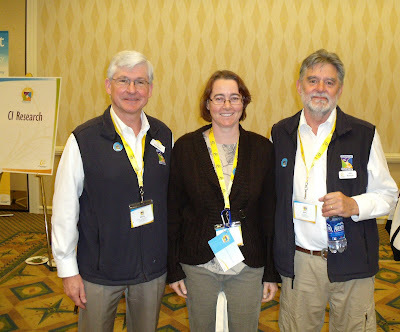 Naomi with Dr Chris Roberts (Global CEO of Cochlear) and Jim Patrick (Cochlear's Chief Scientist). The event was amazing. It was so well organised and co-ordinated and the ground staff for Cochlear that ran this show, worked tirelessly throughout the conference. It was really one of those "preaching to the choir" type moments, where everyone that was there had in some way seen the amazing change a cochlear implant had made in the life of another personh. It was truly a celebration of the good that come to the lives of many people - many adults described it as "getting my life back" where hearing loss had isolated them, robbed them of their confidence and their ability to maintain their employment. Their implants had given them all that back and so much more. It was great to hear so many positive stories from the adults that can describe to us what it is like for them. As a veteran mother, I was just blown away by how well these young children that are being bilaterally implanted at such a young age, are doing. Their speech and language was amazing as was their ability to cope in noisy situations like large conference exhibition halls, crowded hallways or large dining rooms. Truly they barely even battered an eyelid with all that noise - it was just incredible. I'm sure that other manufacturers have similar events for their recipients and based on my experiences at the Cochlear Celebration I would encourage you to go - you learn heaps, meet a whole new group of friends and contacts and really just have your spirits lifted. Oh and of course there was the CI Circle Lunch - more on that in another post, but we did manage to "rope in" a couple of mothers were not on CI Circle (yet) but were keen to be. Through out the weekend we had plenty of time to "plug" our group and our site and you would be surprised how many didn't know about us. Well at the top they do now - I told Chris Roberts (Global CEO) about our site one night and he looked it up later that night. The next day he told me how impressed he was by the webpage and resources it has - so go team!!!! 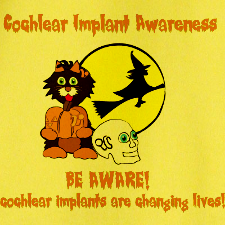 Having two deaf children who use cochlear implants to hear, I know that there will likely come a day when they need their internal devices replaced. We all hope the devices will hold out until they are much older and have children of their own, but what if they need new devices sooner? I used to ask myself this question when it recently became a reality for my son. What happened next? Rachel had surgery six days later to replace that device. However, like a true champion, she attended school in silence until the day of her surgery. This post was made by Rachel herself, a couple of weeks following that surgery to replace the failing device. Rachel has actually had two device failures. If you continue to read more of her story from her site you’ll read that the second time around after her device failure, she required more intensive audiological intervention. 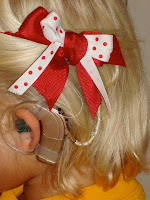 Today however, she is happy and hearing well with those bilateral cochlear implants at age 22. She’s presented at events and spoken around the world about how grateful she is to have the opportunity to hear with her cochlear implants. Our situation was a little different. My son needed to have a new device inserted recently because he developed a very rare and hard to conquer infection. In fact, we went months not really certain what was causing his intermittent pain. He could hear very well and heard no strange noises to lead us to believe that his issues were with the device itself. Finally he began showing other symptoms of infection and when several types and courses of antibiotics didn’t work, he had it removed. Four months later he had not just one cochlear implant inserted but became bilateral also. My questions were: Will he ever hear as well as he did before he had his first device removed? How long will it take to retrain him to understand speech? After four months will they be able to get the electrodes back in? You may notice these concerns are far different than before with his first cochlear implant surgery. Having been thru the actual surgery before, I felt more comfortable with that part of it and knew the benefits of having the cochlear implants and hearing anything were outweighing my uncertainties of just how well he’ll hear. At this point I was just hoping that the sound he might access be enough to aid his speech reading. So I for one can take comfort in reading about those who have been thru this before like Rachel. I am finding like with Rachel’s case, my son is quickly picking up on learning to listen/hear much quicker than I anticipated. He too, could already do some repeating of simple sounds before we left the first mapping session. He’s only four days out now and can hear things like music (as long as I tell him what song is playing), he can hear me in another room sometimes, and he is beginning to understand some speech and is inconsistently turning to his name. He walks around saying “I can’t believe I can hear!” He had been used to the silence since we needed to wait four months before reimplanting his ear that was infected. Most of the time, when these kids are in need of a new device, it may be unfortunate and even unpredictable. But in many cases, it’s not like starting completely over, they have that experience behind them now and things usually move along where before, they sometimes have no prior experience to sound. Here is my son talking about his truck he customized, while I do a quick listening check with him, covering my mouth to see if he can actually hear and reproduce the sounds I make. He has enough access four days out to aid in his speech reading, just as I had hoped. We are standing on the bridge now between needing visuals (speech reading) and being able to hear without visuals. There are no guarantees that he will be able to keep this device, should his infection return, but if he does, we have no doubt that after his auditory training he will be hearing as well if not better now that he’s bilateral, than he did before. Rachel’s story is just one from cicircle that I take comfort in, knowing that we could possibly follow the same path having bumps in the road we must overcome. He will begin Auditory Therapy next week and is expected to need that for about a month with weekly one-hour sessions. Typically we would be doing Auditory Verbal Therapy but he doesn’t need the speech part of it, he only needs the auditory training, the learning to listen again. I think there are many cases where parents want to send their kids to a listening boot camp (even if they have typically hearing children). New Book Featuring Our CI Kids!!! Kimberly Pendley at Can you hear me? Leaf Leafler at Say What? All proceeds will go to Deafness Research Foundation, a non-profit organization 501(c)(3) that works to fund research to help those living with hearing loss and balance disorders, and on programs to raise awareness of potential causes to protect those at risk. Go order one today and help create a difference for today’s generation and the future generation of deaf people and have some good laughs! You're child just had cochlear implant surgery. What are you going to do now? 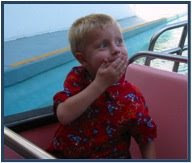 Well, maybe not right away, but sooner or later you may decide: “We’re going to Disneyland!” You might then ask yourself, “What do I need to know about going to Disney for my child with cochlear implants?” As mother to a son with bilateral cochlear implants who has had annual passes to Disneyland his entire life, I thought I should share my experiences. Keep in mind that I have not had personal experience with the entire range of options available to guests with hearing disabilities. 1) Disneyland and Disneyworld are two entirely different creatures. The rides may be the same, but the rules and services are not. Do not make assumptions on how your day will go based on the accommodations you received on a trip to Disneyworld. 2) Disneyland wants guests to use mainstream access to rides whenever possible. There is no Guest Assistance Card handed out for hearing disabilities. On the second note, while Disneyland does not hand out Guest Assistance Cards to guests with hearing disabilities, they do have several aids available. You can see a list of rides and attractions where aids are available on this page of Disneyland’s website. You can printout a complete guidebook for guests with disabilities. You can also take advantage of the Fast Pass option for certain rides. This has nothing to do with hearing ability, but if you use the fast passes strategically, you can spend much less time in lines. The only aid that my son has personally tried out is the handheld captioning device. 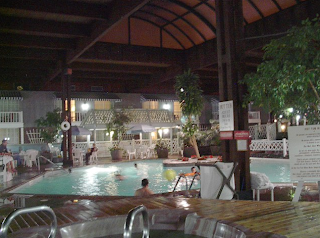 At the time that we tried it, we went to guest services inside the park and left a $100 deposit. The cast member who gave it to us had no idea how the device worked, but we figured it out easily. It works only on specific rides and at the end of the day; we decided it wasn’t worth the effort to get it or to carry it around. We’ve never used one again. The captions it provided were not in sync with what was heard over the speakers, and hardly any of the words spoken were included in it. It actually made it more confusing for my son. Other services you can see on the website, reflective captioning and video captioning are on select rides or shows and you need to contact a cast member at the ride to use them. We have not found the need for them at any of the places where they are available, so we’ve never tried them. They seem to mostly be available for pre-show introductions, and truthfully, my kids do not care about the pre-show introductions. Maybe they would be useful for an adult who needs to understand the rules before entering. One thing I would like to ask about on my next trip to Disneyland is their written aids. They are supposed to have packets containing dialogue and narration for certain attractions and shows. A flashlight and pencil and paper are included with it. There is no list of which rides and shows this is available for on the website. I’m dubious of the use of a flashlight on a ride or during a show, and being able to read the narration without one seems highly unlikely. Flash photography is usually not allowed on rides, and it can be very annoying when people ignore that rule, so I think I would feel self conscious if I had a flashlight and was reading a script in that situation. The final option for guests with hearing disabilities is American Sign Language interpretation and amplified or TTY equipped phones. Disneyland’s website says to put in a request for ASL interpretation a week prior to your visit if you want it. It seems you will have to follow a predetermined schedule to use it. “Equipment such as electronic motors and radios that produce electric and magnetic fields are utilized extensively throughout the world and also within our Resort. These fields are generally no greater than you would experience in any urban environment, or may be exposed to through common household appliances such as vacuum cleaners and hair dryers. Although we are unable to give you a list of exact levels for each of our Theme Park attractions, our measurements showed levels below 1 Gauss (0.1/ milliTesla) which are well below the published 5 Gauss (0.5/ milliTesla) level of concern for most medical devices such as pacemakers, cochlear implants, or insulin pumps according to the American Conference of Governmental Industrial Hygienists .” The representative also added that a guest should contact their own physician if they have concerns. First of all, if your child has other issues along with hearing difficulties, you may be eligible for a Guest Assistance Card. If your child is in a wheelchair, that is definitely eligible. If your child has issues such as Autism, they may also be given a pass. Speak to someone at Guest Services and explain your situation. They will make a determination about your needs. With a Guest Assistance Card, you generally wait outside the regular line. There is no guarantee that you will enter the ride faster, but you will avoid either the stairs, or standing next to large numbers of people, etc. It doesn’t hurt to ask if you think you need this service. As for riding fast or wet rides with a cochlear implant, my son has been on almost all of them and never removed his processors. He has been on Thunder Mountain, Space Mountain, The Matterhorn, Tower of Terror, Soarin’ Over California, and Splash Mountain. It is, of course, up to the parent if you want to leave the processor(s) on your child, but I prefer to let my son experience the rides in the way he normally experiences the world, which means hearing with his processors behind his ears. We use toupee tape to hold them on, and I bring a sweatshirt or jacket with a hood for use on these rides. 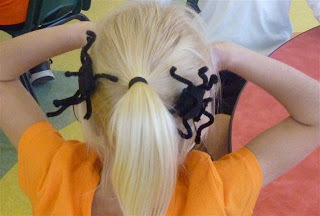 (You could also use a CI retainer like Ear Gear, Critter Clips or Magic Fairy BTE guard barrettes to keep your child's CI processor firmly attached to his or her clothing.) When he was smaller, I would sit behind my son or next to him, depending on the ride, and hold the hood around his head when I saw a drop or sharp turn coming. He does it on his own these days (at age 9). I don’t know that the hood would catch the processor if it fell off, but it makes me feel better. It also keeps the water on Splash Mountain from hitting his processors. On Splash Mountain, my suggestion is to ask to sit in the back. While it doesn’t keep you dry, I have been told it gets the least wet, and so far it’s worked for us. Ask the cast member doing the seating for seats in the back and explain that you need the driest seats possible because of medical equipment issues. Of course you can always remove the device(s). If you plan to do that, I would suggest having a predetermined place to keep them. Some parents carry Otter Boxes for this purpose. 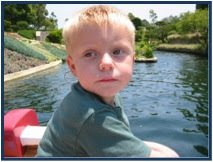 A problem you may encounter with cochlear implants is fountains where children play in the water. Especially during the summer, there are areas where children run around and get wet at Disneyland and California Adventure. It’s good to be aware of that beforehand so you can plan ahead to either avoid them, have a case handy for your devices, or take your chances that your processors are water resistant enough. Another area of concern that I see is overall noise levels in the park. Will your child be able to hear you? Will it be so loud it annoys him or her? When my son was first implanted, we did turn the volume down at Disneyland because he was still sensitive to sound in general. These days, we don’t do anything different than usual, and even though my son is not the most attentive person in general, he hears us fine. He hears the shows fine too. It seems all seats in the theaters we’ve been to in the parks have good access to sound. There are no special seating assignments for hard of hearing persons. Finally, since many people might be wondering about meals during their trip, my recommendation is for Wine Country Trattoria in California Adventure. It’s moderately priced, relatively quiet, and you get to sit down and be served. Plus it has a children’s menu, and my kids both love it. In Disneyland, my kids prefer the Hungry Bear Restaurant. While less expensive than Wine Country Trattoria, it’s also more work carrying your food to the table and such. The kids like the view of the water from the area though. Visiting Disneyland is as fun for someone with cochlear implants as it is for anyone else. There are only a few accommodations available for persons hearing through cochlear implants, and there are no Guest Assistance Cards for hearing disabilities. However, based on personal experience, that doesn’t make much of a difference, at least not to a child. Parents need to exercise their own discretion when deciding which rides they want to let their child go on and whether the processor(s) should be left on or taken off, as they do wherever they go. When in doubt about anything on a trip to Disneyland, talk to someone at Guest Services or seek out a cast member at the ride or show you have a question concerning. The information I have provided here is true to the best of my knowledge, but I make no guarantees. Enjoy your trip! Mom to 12 year old Audrey, hearing; and 9 year old, Neal, first ci at age 2.9, second at age 7. *All pictures are from when Neal was 3 or 4 years old and wearing his body worn processor. He wants to be sure everyone knows he’s not that young anymore.